2. 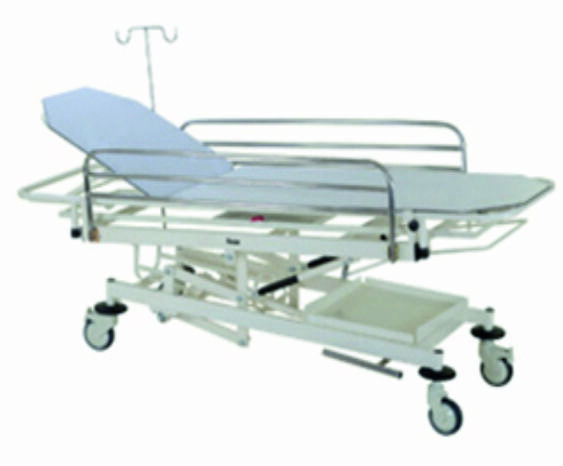 Two Section Top With Removable X-ray Pemeable Strectcher, Made Of Pre-laminated Board Supported On Tubular Frame. 3. Height,tredlenburg/ Reverse Trendlenburg Positions Obtained By Crank Mechanism With Foldable Handles. 8. Pre- Treated & Epoxy Powder Coated Finish.